Inside AdSense: Have you heard? Pick out a referral button, and add it to your site. Users who sign up for AdSense through your referral button will learn about a great product, and you'll have a new way to generate revenue - $100 when each user you refer first earns $100. UPDATE: Firefox referrals are now available internationally. 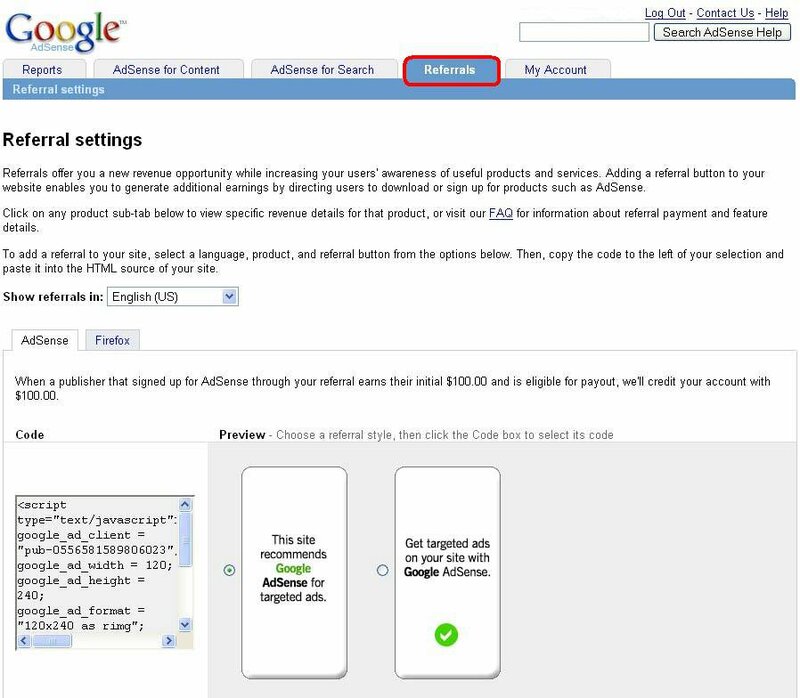 We've made it easier to spread the word about AdSense with referrals, our newest feature. Not only can you connect friends, acquaintances, and complete strangers with AdSense, but you can generate more earnings in the process. It's easy: Visit the new "Referrals" tab in your AdSense account.